Dynapacs priority is customer satisfaction and success. Therefore, the new large paver range focuses on operational efficiency. Starting with the serial production in September 2018 all Dynapac SD2500 and SD2550 pavers will be available with new features and packages like LightAssist to support efficient operation and increase operator’s comfort as well as safe operation. Dynapac is standardizing its paver range enabling operators to easily switch machines. Therefore, the start-stop button and in the software integrated screed heating have been introduced also on the SD2500 and SD2550 pavers. Thanks to the start-stop button operations will be more efficient, fuel consumption is lowered and settings are saved. The screed heating can be comfortably controlled via display. Additionally, the software will automatically recognize the attached screed – no adjustments needed. More light, more visibility, more safety! 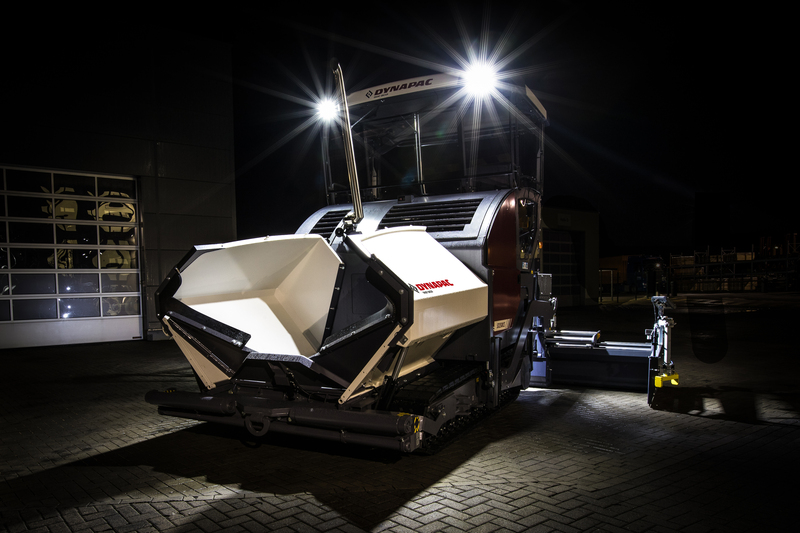 Dynapac launches a new lighting system, called LightAssist, for brighter conditions during night jobs. The package consists of coming home light, integrated side shield lights and an updated lighting concept. Dynapac mobile feeder users are already familiar with the coming home light and highly appreciate it for safer and easier operations. There is no need for starting the engine, since the light can be switched on with a battery switch, which assists efficient operation. The coming home light guides operators safely up and down the paver. If the machine is shut down, the back lights will continue to shine for one minute so all workers can safely find their way. The integrated side shield lights illuminate the joint and front part of the shields, hence operators have a better visibility. 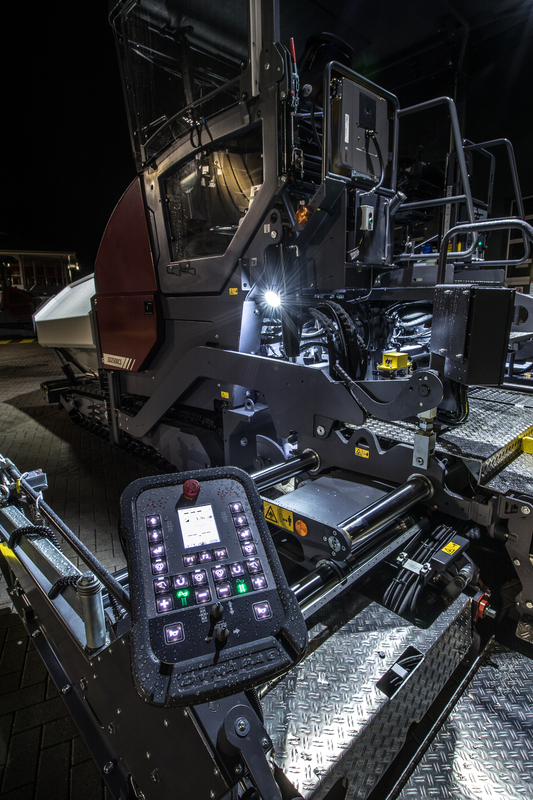 The new LightAssist concept from Dynapac provides daylight conditions to night jobs – making the operators work life more comfortable and safer. This product is not available in ru.